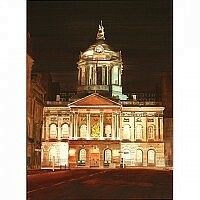 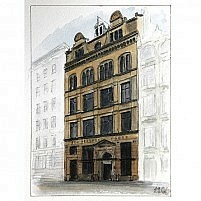 Category: Original Paintings of Liverpool. 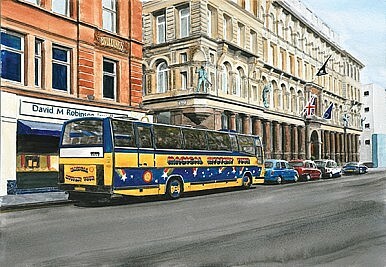 Original watercolour painting of The Magical Mystery Tour bus and Hard Day’s Night Hotel. 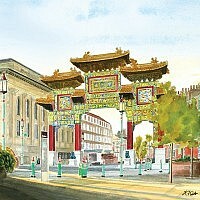 A beautiful watercolour for any Beatles fan. 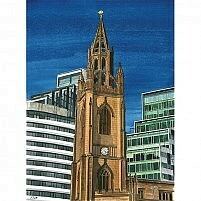 In oak effect frame with mount. On sale in Madelainartz, Cherry Tree Shopping Centre, Liscard, or order online here.